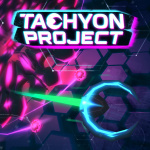 Eclipse Games has revealed that it is updating its Wii U title Tachyon Project for the Switch. Described as the definitive edition of the dual-stick shooter, the Switch version will include improved graphics, local multiplayer support in story mode, improved enemy creation effects to avoid annoying deaths and some redesigned levels. Taking place across 10 stages, the game features 6 different weapons, 9 secondary weapons, and 7 perks, all of which allow you to customise your ship. There are 30 different enemy types to kill as well as 4 bosses. Up to 4 players can take part in local multiplayer. 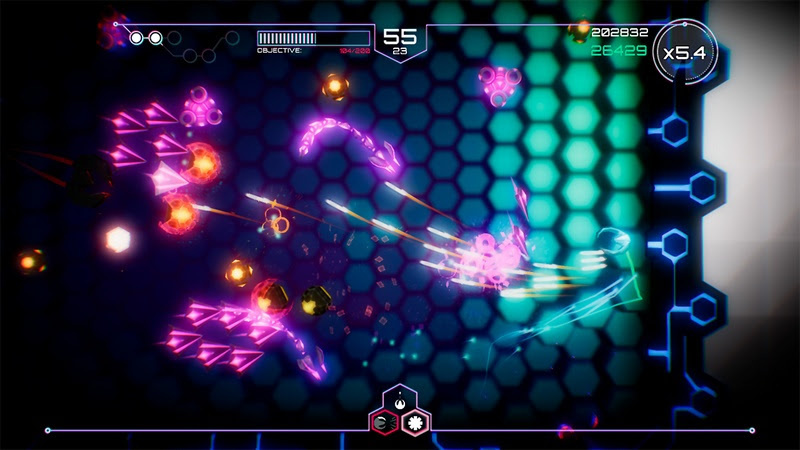 Tachyon Project will cost $9.99/€9.99/£7.99 when it launches on January 25th. Interested? Let us know with a comment. Not double-dipping. While the game wasn't bad on Wii U, it has issues I didn't like (such as enemy spawning). I hope the crashing is fixed. I'm not bothered about this game, didn't like it on Wii U. It's actually currently on sale on the Wii U eShop for €5 but Nintendo neglected to mention that yesterday in their Press Release. Just like they completely blanked Wii U and didn't make any mention of discounts across Wii U, 3DS and Switch. I’ll check out some reviews first. I’m interested. Besides, I need a substitute for Geometry Wars on my Switch. I love twin sticks so I think this game is fun- the king of twin stick shooters though is still Robotron 2084!!! I’d like to have a Nano-assault game on Switch. Preferably a new one since I beat the other 2. But at the right price, I’d take the WiiU version. @KIRO I think I'm in that Venn diagram, or at least I used to be. Bukem, Blame... them were the days. Didn’t get it before and went to a retro arcade recently and spent hours on Robotron. Looking for a good twin stick shooter and this looks right up my alley. Day one here.